Intention is a mental state that powerfully predicts and explains human thought and behaviour. Therefore, to support and encourage sustainable entrepreneurship, which is directly linked to achieving sustainable development goals, it is essential to bridge the gap in our knowledge of the factors that lie behind sustainable entrepreneurial intention. Consequently, employing data from Italy, the primary aim of this study is to provide insights into the factors that affect sustainable entrepreneurs’ behavioural intentions. 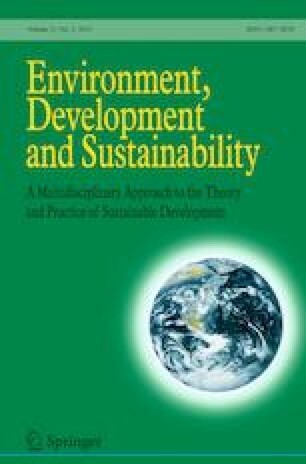 This study looks to extend existing research on how the subconscious goals, subjective motivations (SSMs) and personality traits of sustainable entrepreneurs influence their behavioural intentions towards sustainable business. For this purpose, a holistic map of the SSM of sustainable entrepreneurship was designed, and the mechanisms behind the relationships between personality traits and SSM and the predictive power of the personality traits on SSM were analysed. The findings revealed the importance of the joint and non-alternative use of SSM and personality traits to better understand the antecedents of sustainable entrepreneurship. Further, the findings revealed the most relevant cognitive factors and personality traits and the influential role of personality traits in some SSM factors. This study provides a theoretical and empirical contribution to the debate on intention towards sustainable entrepreneurship and offers useful reflections for policy-makers and entrepreneurship education. The knowledge structures are the key to entrepreneurial opportunity recognition and the factors used to assess, judge and decide about venture creation and growth. I believe that companies can combine profit with having a positive social impact. How desirable are to face new sustainability challenges for you in your everyday life? How desirable are to create new sustainability products for you in your everyday life? How desirable are to be creative and innovative for you in your everyday life? How desirable are to obtain high incomes for you? Brännback, M., Krueger, N. F., Carsrud, A. L., & Kickul, J. (2007). ‘Trying’ to be an entrepreneur? A ‘goal-specific’ challenge to the intentions model. Paper presented at the Babson Entrepreneurship Research Conference. Madrid, 2007. Available at https://ssrn.com/abstract=1151047. Collins, C., Hanges, P., & Locke, E. A. (2004). The Relationship of Achievement Motivation to Entrepreneurial Behavior: A Meta-Analysis. Articles and Chapters. http://digitalcommons.ilr.cornell.edu/articles/831. Ernst, K. (2011). Heart over mind—An empirical analysis of social entrepreneurial intention formation on the basis of the theory of planned behaviour. Unpublished dissertation, University Wuppertal, Wuppertal. Retrieved from http://elpub.bib.uni-wuppertal.de/edocs/dokumente/fbb/wirtschaftswissenschaft/diss2011/ernst. Yitshaki, R., & Kropp, F. (2016). Motivations and Opportunity Recognition of Social Entrepreneurs (SSRN Scholarly Paper No. ID 2741387). Rochester, NY: Social Science Research Network. https://papers.ssrn.com/abstract=2741387. Accessed 23 May, 2017.